In todays modern battlefield, more and more items use power. 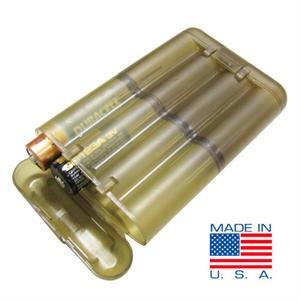 Protect your power lifeline with this made in the USA battery pack protector. Always a good idea to have extra in your gear bag or your loadout. 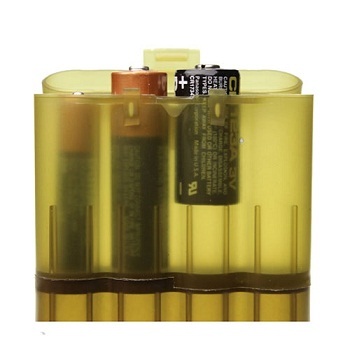 - Each set holds up to (8) AA Batteries, or (12) AAA Batteries, or (8) CR2, or (8) CR123 batteries. 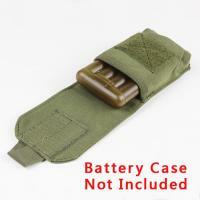 - Lightweight, two tone cases slide apart to separate your spent or (dead) batteries on one side, (live) batteries on the other side.